Grim Facade: Monster in Disguise Collector's Edition is yet another addition to the Grim Facade series. ERS has worked and presented this new hidden object puzzle adventure game for the fans of the darker games from this genre. The game has a bonus game where you learn a whole lot more about the murderer's mind (which is not a topic of interest for some, but there is a group that finds that entertaining). You are called in to investigate a complicated murder case. A tow has been terrorized by a number of murders and the person considered responsible for them is in prison. While the caught murderer is awaiting for the execution, the town learns about yet another murder. Is Bloody Stanley in prison and it's a copy cat folowing his steps and misleading the investigators or Bloody Stanley has never been caught and the wrong person is about to be executed? 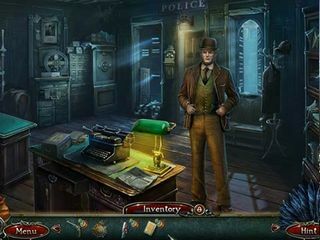 Finding the answer to this guestion is going to be your job in this thrilling HOPA game. The game's audio visuals are very well done and fitting the general theme and mood of the game. It is a dark story and the scenes and music depict that perfectly. The game is played in four modes: Casual, Advanced, Hard, and Custom. The hints and skips are adjustable (5-200 seconds) to your skill level and liking. There are quite a few collectibles throughout the game. First, you collect coins to buy inventory and carriage rides. Then, there are also coins to purchase all kinds of skulls and swords, and daggers. There go to your collection room where you get some historical information about them. 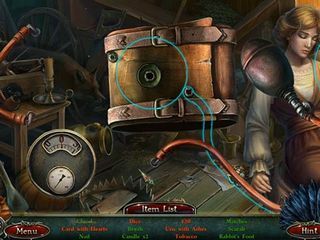 The mini games outnumber the hidden object scenes. Both are quite interesting and entertaining and both are available for replay. There are achievements for solving murders. You get to download all the typical media extras to enjoy after you are done with the game. 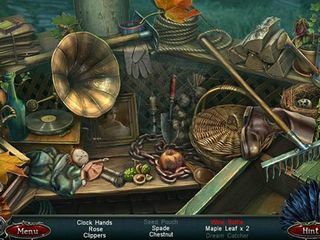 It is a great hidden object game for those who love the darker kind of games of this genre. This is Grim Facade: Monster in Disguise review. Download this game here.